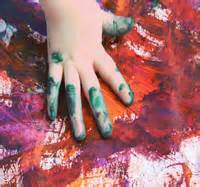 Messy Church is church for all the family, especially with children under 11 years old. So children, bring your parents, grandparents or carers. We have fun with themed craft activities, a short time to celebrate and think about God’s message for the day and we finish sharing a meal together. This is church and it is fun! It’s a way of doing church that’s quite different from a traditional Sunday morning service that has become popular with families all over the world. It’s easier to show you what Messy Church is than to describe it – so come along to the next Messy Church and see! We are holding them on Saturday afternoons at 3.00pm so that Mum and Dad, if working, can come too. All are welcome! We finish around 5.30pm. children must be accompanied by an adult. We have Messy Church four times a year, so check this website regularly for Messy Church dates. We are always looking to improve what we do, so please feedback your thoughts and ideas. We look forward to welcoming you whether or not you let us know in advance, but it is so much better if we do know ahead of time, so please register online if you are able to do so or by text or email. If you need any further information, then please contact the Minister. If you are planning to attend our next Messy Church event, then please enter your details below. If your party will consist of more than two children, then please complete the form again.